Why choose custom printed ribbon? 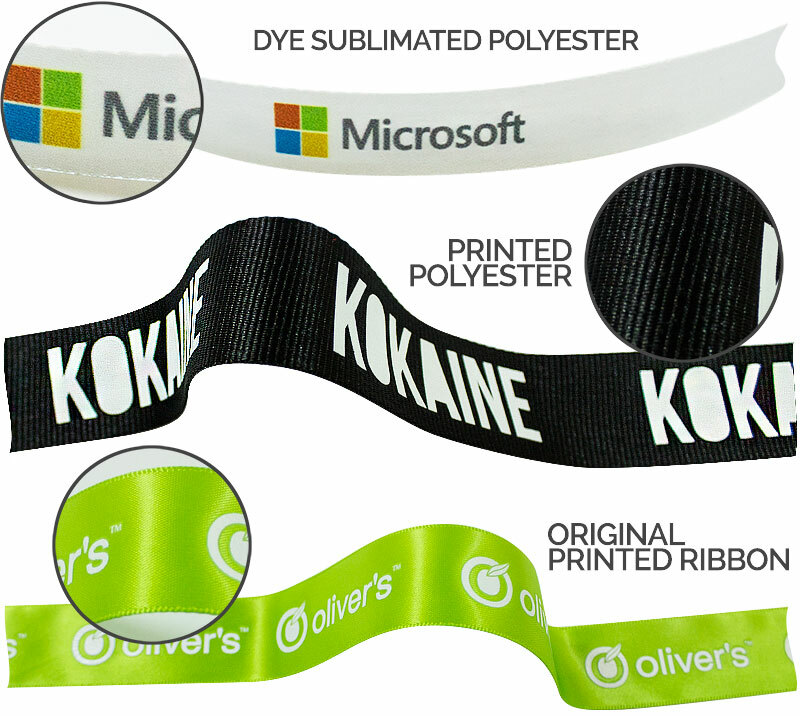 Custom printed ribbon is the appropriate way to promote your brand for your next corporate event or function. Your logo is repeatedly printed along the entire ribbon length. This is more than just a custom ribbon its a brand beacon. We are here to make your project stand out from the surroundings. You can select the ribbon colour and style that meets your requirements. If you need assistance with printing guidelines or any additional info before proceeding then you can simply call us at 519-219-2292 and talk to our team for any help. You can also request a quote by sending us an enquiry using the form which appears at the right side of this page. These ribbons can efficiently promote your business and brand individuality. You can package corporate gifts and gift bags so that your company is remembered all the time. You can package products with a custom touch and add a quality branded neck trim. These printed ribbons can be used to promote a business at an event or launch. Dynamic Gift, Canada, specialize in printing and supplying custom printed ribbons. It can also be used to attach badges and name tags in every corporate event which is an economical way of recognizing the attendees during a conference. Other than that, it is also a unique way to reward the employees who worked hard to make the company successful. Also, at any premiers, grand openings or ribbon cutting ceremonies these custom printed ribbons can be used. Similarly, it can be used at any sports event to signify the finish line which indicates official victory. You can also customize ribbons for your baby shower, christening, kid’s birthday, etc at an affordable price. These ribbons are available in best quality polyester, nylon and satin variations with full colour digital or screen printing. Our standard width is 10mm to 15mm, however, that is not a fixed size. We can alter that based on the client’s requirements. Also, ribbons can be cut to any size and the edges are sealed with heat to avoid fraying. Along with that special effects can be created like curled or swallowed tail cuts. All these are available at the best possible prices!